This cabin is the outdoor lover's dream! From the backyard to the backwoods, this cabin is the perfect getaway for some serious relaxing! Other options such as a porch, windows, lofts, or insulation can also be added to these cabins. Each cabin is custom-built to your specifications, and many sizes and options are available. These Log Playhouses are crafted of solid 2x4 or 2x6 logs, with treated 4x4 runners, deck boards and posts, and have a treated plywood floor inside. Includes three 18"x23" working windows with screens, a child-sized door in the front, and a full-sized adult door in the back. A cute loft over the porch comes complete with an inside ladder and railing. Our Log Playhouses come standard with 4x4 posts and treated 2x2 deck railings. Upgrade to real log railings inside and out for an even more authentic log cabin look. Includes staining/sealer in a Cedar color, or other colors are available. 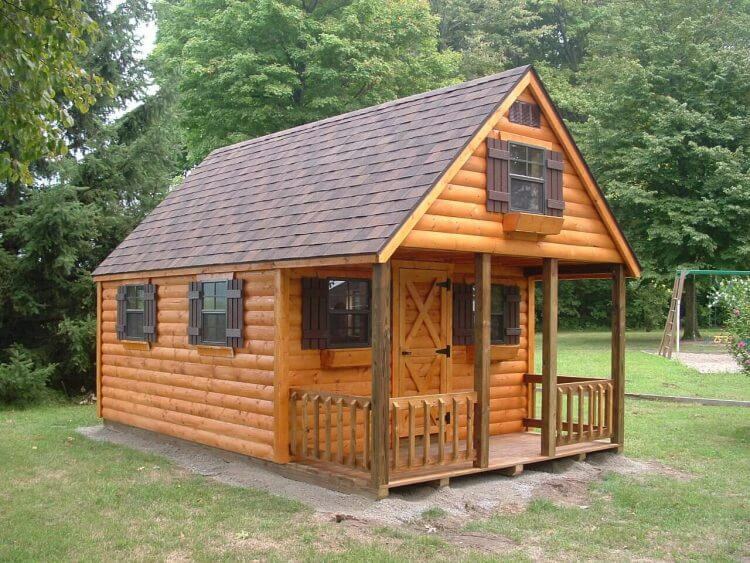 All our cabins are custom built, so we build it just how YOU want it! We sell pre built cabins or we can build them onsite. All our cabins our made of the highest Amish Craftsmanship! 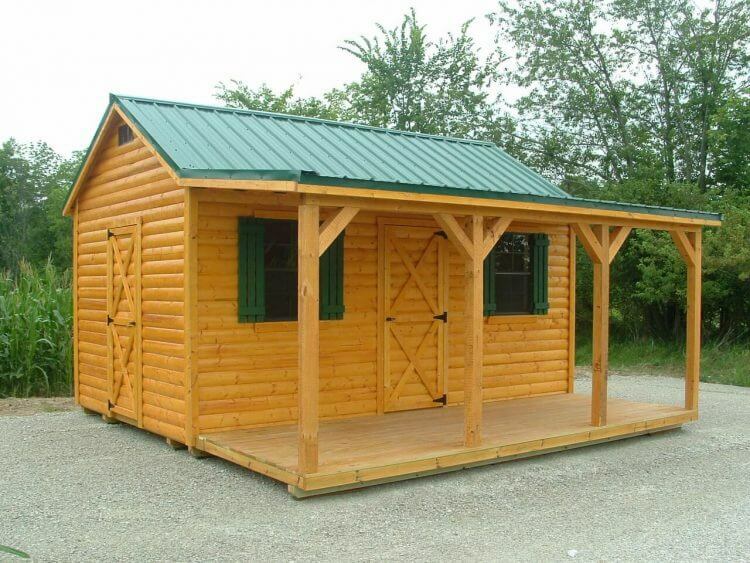 We service Indiana, Michigan, Illinois, and Ohio with Amish prebuilt cabins.